Paula Oppenheim is a long-standing member of the Board of Directors of the Ackerman Institute lending her expertise in guiding Ackerman’s projects with children and families. She holds a BS in Early Childhood Education and a Masters in Guidance Counseling. She was previously a volunteer and board member at a school for autistic children. 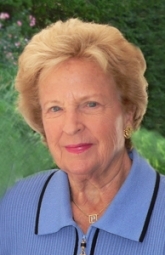 She formerly co-chaired a support group for seniors at Jewish Family Services of Greenwich and was also on the board of Family Centers, Inc.